Rated the #1 visitor publication by travelers every year since 1920, KEY Magazine influences Chicago's convention, business and leisure travelers. KEY's weekly printing frequency perfectly fits a visitor's 3-4 day average stay and our portable digest size enables hotel guests to have in their pockets/purses at all times. 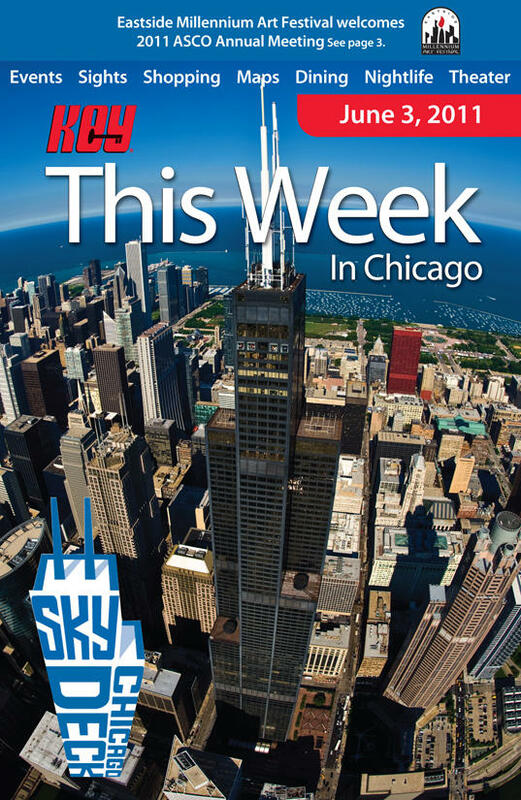 With well over 3.5 million annual readers who rely on our publication to help guide them towards the city's unique dining, shopping, sightseeing, cultural and nightlife options, KEY is Chicago's most trusted source of visitor information. KEY & it's affiliates can be found in over 25 cities coast to coast. Call or e-mail the Publisher, Walter West at 312-961-6106 wwest@keymagazinechicago.com for advertising information or free copies!